You can also book a consultation with nutrition specialist Toncheva at New Life clinic by calling 032/ 693 693 or the free number 0800 13 006. The nutrition specialist Rositsa Toncheva has graduated from the Medical College of Sofia Jordanka Filaretova with a Nutrition Specialist degree. After her graduation she worked as a nutrition specialist for six years at the Institute for Treatment of Foreign Citizens, Sofia. She has also worked as a nutrition specialist in the capital of Greece – Athens for 12 years. The institution where she was employed is the Specialized Medical Institute for Healthy and Dietary Eating. 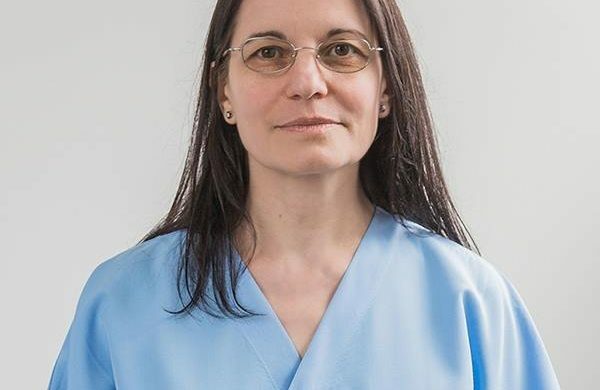 After her return to Bulgaria, dietologist Toncheva helped breasts cancer patients by taking part in their rehabilitation as a nutrition consultantat the “Specialized Hospitals for Rehabilitation- National Complex” – branch Banya and branch Hisarya. Nutrition specialist Toncheva is currently a lecturer of Eating and Food Safety at the Medical College of Plovdiv. 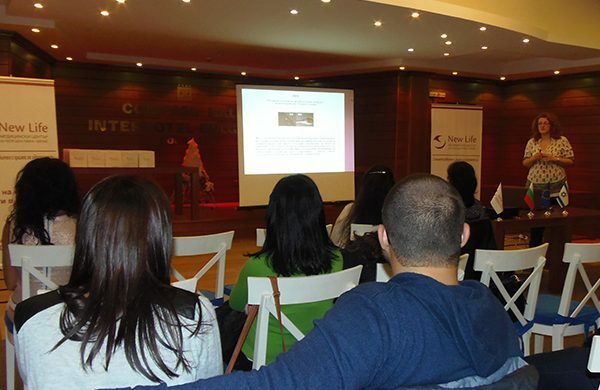 Twelve fertility centers from all over the country took part in the event and actively participated in the group discussion about innovations in the field of reproductive medicine. New Life was one of the actively participating centers. The city of Stara Zagora hosted this year’s event. The party was attended by couples who have undergone treatments together with the team of New Life Clinic, that have achieved our common dreams. There was organized entertainment for the children and treats for all guests and friends, an exclusive celebration and entertainment, coupled with victory in our common struggle! The medical manager of the clinic Dr Dobrinka Petrova, Dr. Mariela Daskalova and chief embryologist of the clinic Assoc. Prof. Rumen Dimitrov thanked warmly all our guests for their trust and friendships that we have built, for their persistence and desire so that both sides today can enjoy these little creatures together! The team of New Life Clinic wishes you bright Easter holidays, filled with faith, kindness and hope in your hearts! \»New Life\» Male Centre for Reproductive Health and Dr. Mariela Daskalov launch a series of tips for men in reproductive age, which will be introduced in a period of several weeks. Special guests at the clinic was Eitan Broshi, Chairman of the Friendship between Bulgaria and Israel and member of the Standing Committee on Health of the Parliament of Israel. Along with him, our guests were David Cohen, Israeli ambassador to Bulgaria for the period 1996-2000 year and Imen Amasha, First Secretary and Deputy Head of Mission. 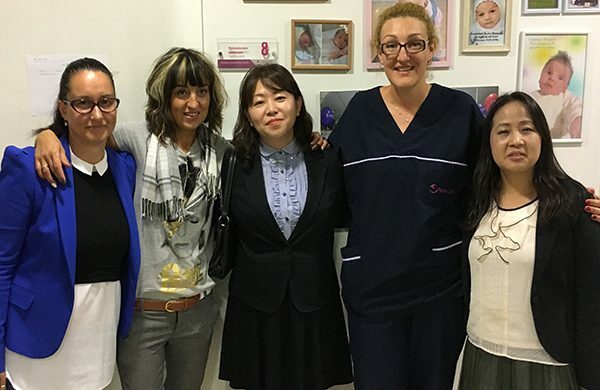 Personally the manager and obstetrician Dr. Dobrinka Petrova and chief embryologist of the medical center Prof. Rumen Dimitrov showed our guests the clinic. They briefed the delegation on the developments in the field of assisted reproductive technologies and answered their questions on the development of reproductive medicine at a global level. In remarks Eitan Broshi said that medical center for reproductive health \’New Life\’ is equipped with the most modern equipment and was fascinated by the high level of professionalism of the whole team at the clinic. He added that \»New Life\» is the first successful Israeli investment in healthcare in Bulgaria and should be an example for cooperation on future investment projects of the State of Israel in Bulgaria! Dear friends, today is Grandmother\’s Day and we celebrate our professional holiday. You truly touched us with your letters that we get from you for the \»Wish\» campaign. 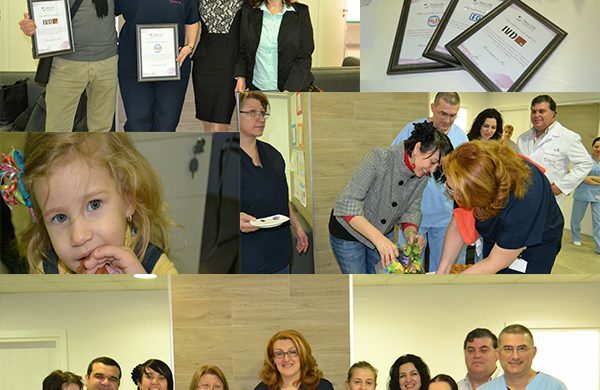 Today were announced the winners of the campaign organized by the IVF Center New Life. A representative committee of the IVF center in Plovdiv, \»I want babies\» Foundation , Association \»Conception\» and MLD Trading anonimously elected the letter of Desislava Gramova, who told a true love story of her close friend. So the first IVF procedure goes to the family of Rositsa Bancheva. The second procedure was withdrawn by the two-year old Elior Behar and was won by Mrs. Emilia Chausheva of Plovdiv. The draw was conducted in the presence of a notary Tsvetomira Barovskiya. Thank you all for your letters and participation in the campaign, we were extremely excited and cried with you! We promise that we will contact all participants in the campaign and will pay individual attention to every story, because we believe we can help with joint efforts to achieve your dream! New Life Clinic donates two free IVF treatments including stimulation. Embrace your dream with the \»Wish!\» campaign of New Life Clinic. New Life Clinic donates two free IVF treatments including stimulation. Send us your personal story on e-mail: wish@newlifeclinic.bg and you can fulfill your most cherished dream for the Christmas holidays — a home filled with children\’s laughter! The campaign \»Wish\», which can fulfill the most cherished dream of two families for Christmas, launches on 04.12.2015 and will continue up to 25.12.2015. On the 21.01.2016 – the national celebration of Babinden — the winner will be announced. The empathy towards couples with reproductive problems in Bulgaria of clinic New Life — Plovdiv and partners of the campaign FOT, MLD and IVD BG to couples with reproductive problems in Bulgaria prompted the IVF center to create the \»Wish\» campaign, which will make the dream of two Bulgarian families possible by donating two in vitro procedures. The initiative is for couples who meet pre-set conditions and also write a letter sharing their emotional story, thoughts and feelings so as to convince the jury that they are the most appropriate couple that deserves the prize. 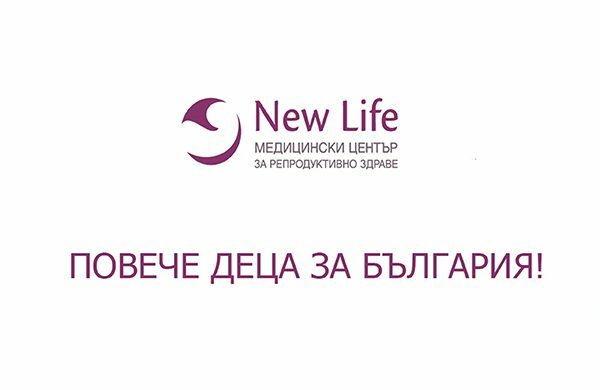 The letters will be published in the Facebook profile of New Life Clinic – Plovdiv with complete confidentiality to the participants. All of them will receive the right to participate, but only the most touching letter will win the first IVF procedure. Second prize will be drawn on a lottery basis, including all participants, whether their letter impressed the jury or not. The winning couples will be announced on 01.21.2016 (Day of maternal care) at New Life — Plovdiv in the presence of a notary, the whole jury and all guests for the winner of the first prize and the second prize will be drawn on a lottery basis. The event campaign \»Wish\» will be captured on video and uploaded to the website and social profiles of New Life Clinic — Plovdiv. 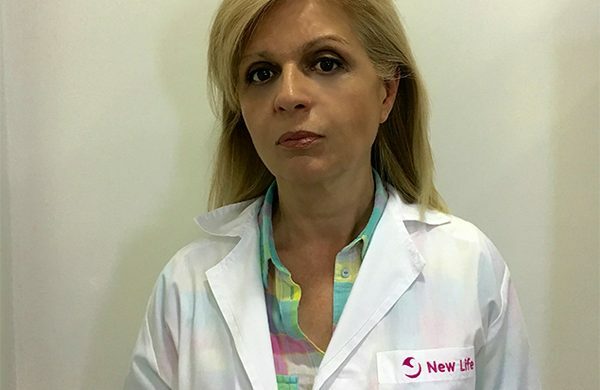 The five members of the jury are representatives of the company for hormonal medication in vitro LMD, \»I want a baby\» and Association \»Conception\» and, of course, two specialists from New Life Clinic — medical manager Dr Dobrinka Petrova and Marketing Manager Vladimir Penchev. \»As a member of the jury of the \» Wish! \» campaign I realize the heavy task that we have undertaken in order to choose the winning couple. It is clear that we cannot donate all IVF procedures, and therefore, there will be a lot of couples unhappy with this fact. We want to ensure the participants who do not win, not to lose hope, because we will take care of each case at New Life. Our center is known for its professional counseling and caring attitude towards all patients. On the other hand, I want to say that we will continue with new campaigns in the future, because the interest in the initiative is enormous, even before its launch, \»commented Dr. Petrova in regards to the Wish campaign. 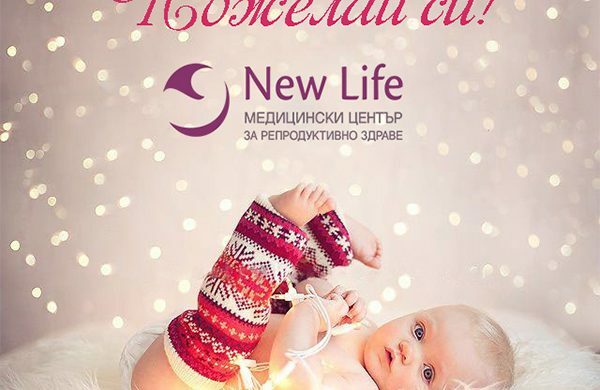 Couples who meet the conditions should send their letters to email address wish@newlifeclinic.bg until 25.12.2015. 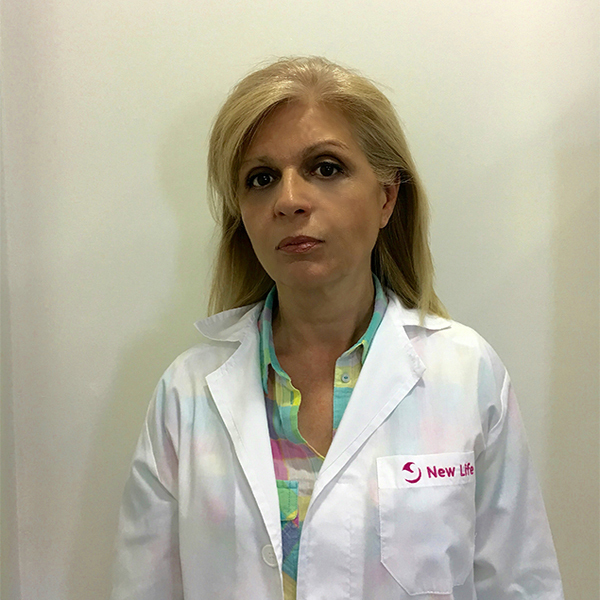 The manager of New Life Dr Dobrinka Petrova informed patients about innovations in the field of assisted reproductive tehnologies. She shared their personal experiences and wished more young families to experience real happiness of the onset of the long-awaited baby. At the Open Day Burgas a new collaboration was introduced among \»New Life\», Hospital \»Virgin Mary\» and Medical Center \»St. Sofia\». From the event it became clear that \»New Life\» clinic and Hospital \»Virgin Mary\» will work actively for the convenience of patients with reproductive problems from Burgas and the region.